The first has a coral background with florals (for those loving the Pantone Color of the Year and all things floral). The other has a dark background without florals (for my minimalist friends…and me). I hope you like them - download links are below. Happy Monday! © 2019 Akula Kreative | These wallpapers are free for personal use only. They may not be copied, altered, re-listed, made available for download, or sold for any reason without the written permission of Akula Kreative. Hello, friends! Today, I am incredibly excited to introduce you to a talented LOCAL client of mine :: Nikki Tripp of Tripp Films! This past fall, I had the pleasure of working with Nikki to rebrand her film business. Tripp Films produces creative films that showcase stories. 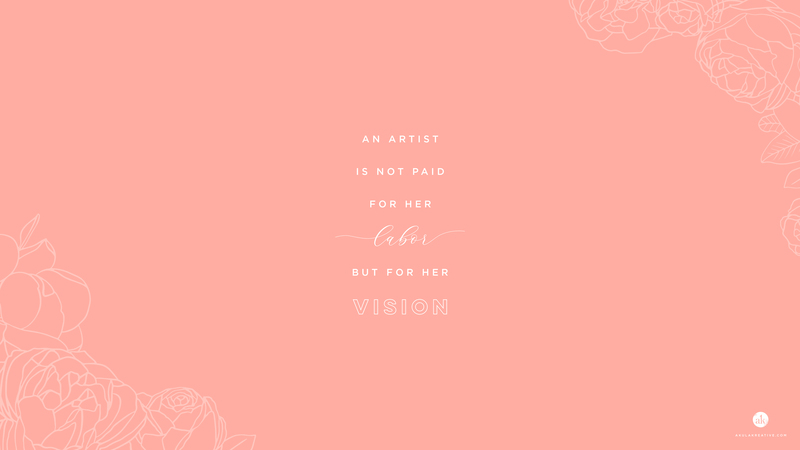 I specialize in small businesses and creative brands, and I love getting to know each of my clients on a personal level to better understand their passion, style, and needs. From there, we create a customized plan for the film that tells their unique story in a visually engaging and artful way. I really get excited when businesses have an idea of the content they want, but trust in my creative talents to bring it to life. These are the people and brands I love working with. I also get excited when I get to shoot other creatives in their element and finding unique ways to showcase what they do. I like my current brand, but think it could be more polished and amped up… [I need it to be ] cohesive and more consistent. I think a branding facelift would really take my biz to the next level! Convinced we were an excellent match, I reached out to get the ball rolling. I shipped Nikki a Branding Workbook, she organized her brand inspiration, and I got to work. After her project wrapped up, we decided to “interview” each other with some Q&A about our respective fields. Scroll down if you’re considering a professional film for your business! Nikki is the real deal and, despite my fear of talking in front of a camera, she’s actually someone I’d feel comfortable fumbling over my words with… plus, she has some GREAT branding advice for you! 1. When did you decide you wanted to be a videographer? Did you have a different career before starting Tripp Films? What was it that made you start your own business? When I started college, I had no idea that filmmaking/videography could be a career! Luckily I was required to take a class unrelated to my major, and I chose a class called The World History of Film. It introduced me to that whole world and I immediately fell in love with all aspects of film! Looking back even before then, I was always making videos for class projects so it kinda makes sense now. During college, I interned and worked for people who owned their own business, so I was familiar with that environment and knew I would likely end up doing that, mostly because I wanted autonomy and freedom with my schedule. But I didn't know what that would look like until I moved to Houston. I was introduced to the creative community here, which got me thinking more about starting my own videography business. I ended up going on this epic road trip along the west coast that completely blew my mind and changed my perspective: I didn't want to waste any more time doing things I didn't care about. I came back from the trip and started Tripp Films shortly after. 2. Who is your ideal client, and what type(s) of project(s) do you dream about? 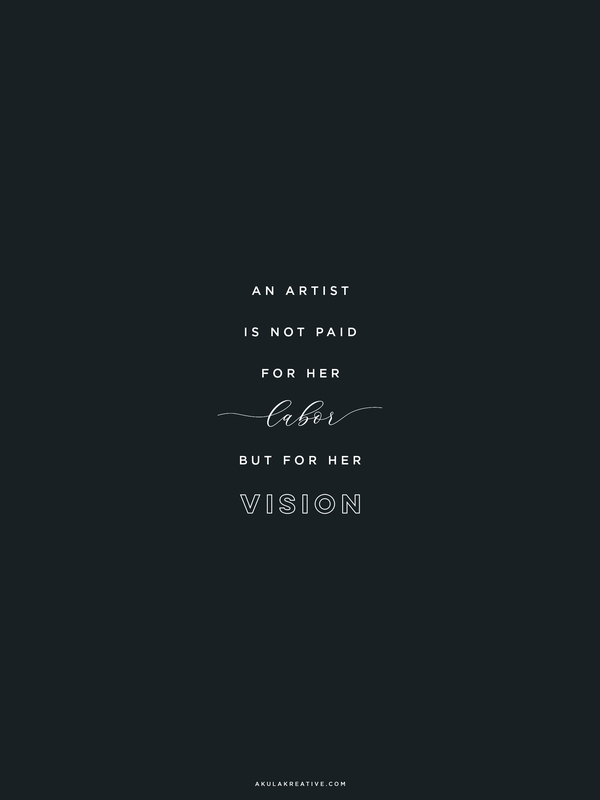 My ideal client is a small business owner who understands their brand and client, knows what they want to convey and appreciates a collaborative creative process. I like working with people who want to be a part of the process of creating their Branded Film but who are also comfortable with taking suggestions and input. As far as dream projects... Part of the reason I love my job is that it never gets boring, every client is different and takes a different approach. With that said, I do keep a Wishlist of types brands I hope to work with each year. 3. How would you describe your film style? Do you adapt to the look/feel of various businesses, or do you prefer to work with brands that mesh with yours? That's a really good question. My film style is cinematic, personal, warm and authentic. Most brands that want to work with me are already drawn to my particular style, so I don't necessarily need to change it to fit them. However, I do ensure that their film fits their own brand as well by using color, branding, fonts and music. My style is also somewhat adaptable. It's not pigeonholed into one particular tone, it can fit many styles from light and airy to bright and colorful. 4. Did anything about the branding process surprise you? My own pickiness haha! I think I got caught up in the details too much sometimes and you were great at keeping things on track and empowering me to make decisions with the big picture in mind. 5. What was your favorite part of the branding process? Which part was the hardest? I loved the initial concept phase. When you sent over the first round of concepts, I literally started tearing up seeing my brand come to life in these designs. The hardest part was narrowing down what I wanted from there and getting down to the nitty gritty details. 6. Do you have any advice for creatives thinking about a rebrand? Yes! I would echo the advice that you gave to my readers. Do not jump into professional branding too early. I created a simple brand to start my business with and then waited two years into my business to get professional branding. I'm so glad I waited, because I know my business and clients so much better now than when I first started, and this new branding is able to speak to that. Yesss! This is great advice, so I’m going to highlight it. Do not jump into professional branding too early. 7. For any readers who've been thinking about a brand film, where should they start? I would definitely start with the big picture in mind, thinking about tone and style and go from there. Look at examples of other Branded Films and make notes about what you like and dislike. You don't have to know exactly what you want from the beginning, but it does help to have some sort of starting point before reaching out to a videographer. I also have a ton of helpful resources on my blog that cover the Branded Film process. 8. What can a film do that photographs and web copy cannot? The most obvious is that your audience can literally see you in action. If you're a photographer, they can see the way you interact with your clients. If you're a maker, they can see your process and the care you put into your products. There is also this special kind of emotion and connection that film provides for you and your audience. You can speak directly to your audience in your own voice with all its inflections and emotions, something that web copy cannot do. There are also so many elements to a film that it make it a more robust representation of your brand: from the music and text to the narration and footage of your business in action. I could go on and on, but the last thing I'll say is that not only does film represent your brand in a way that no other medium can, but it also elevates you above the rest. One thing I hear over and over from clients is that their clients chose to hire them because they had a video. A video on your website tells your audience we are experienced, qualified, and know exactly how to serve you. 9. I'm an introvert and I'm terrible at remembering lines (especially if there's a camera in my face or some sort of audience). How do you work with people like me? Haha. But seriously... I've seen people talking in your films and the dialogue feels so natural. How do you accomplish that while still getting them to say what they need to?! Umm yes!! I've already started passing them out to anyone and everyone! If you want to take a peek at Nikki’s business cards, check out her Rebrand Reveal here or read my Q&A session here! Welcome to the fourth week of my color palette series featuring ARTISTS + MAKERS! Today, I am sharing the handiwork of calligrapher extraordinaire, Han (aka, Hanwriting). I have a few favorite calligraphers, but what I LOVE about Han’s work is her passion for puns (and playing with texture). As someone who used to spend hours trying to come up with clever puns for color palette names, I have a special place in my heart for Han’s sense of humor. I realize there are only a handful of colors in Han’s photo above, but aren’t they perfect?! From the white [stone?] surface underneath to the rich black lettering pressed into that dusty pink deckled paper, the whole “old-world-charm-meets-modern-romance” vibe is on point. After oogling over every piece Han has ever shown in her IG feed, I inquired about a special order :: a custom print to be featured in my maternity photos on Maui. It is, in a word, a treasure to me, and I’m so grateful to have a little token of Han’s talent hanging on our wall. Han, thank you for your beautiful work. Your colorful, punderful feed always brightens my day!